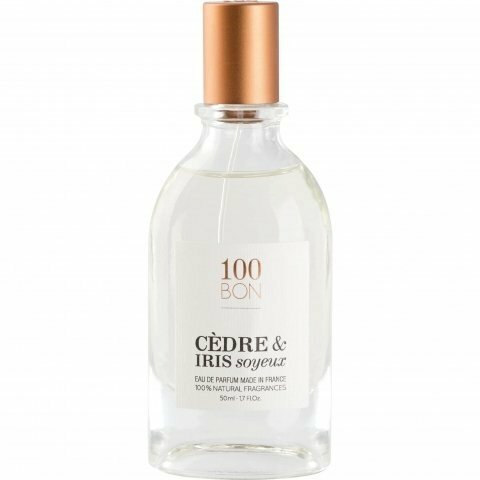 Cèdre & Iris Soyeux is a perfume by 100BON for women and men and was released in 2017. The scent is woody-powdery. It is still in production. Candied orange in sugar water? It starts off powerfully sweet before a rough, nutty (vetiver!) overtone quickly provides relief. For the abundant sweetness, the tonka bean mentioned on the manufacturer's side is probably the central responsibility. Only very slowly can a powdery carrot iris get a smell. Meanwhile I smile at a distant note of cola, I think there's some combination of tobacco and sweet smoke behind it that reminds me briefly of Malbrum's Bengal tiger before a strong load of cream finishes the picture. A fine cream: Not too sweet, well ventilated rather by wood than by iris, because the latter is known to be on a carotene-powdery trail. A trace of bitterness also remained in the melange, the kind of bitter sweetness that would have made me guess myrrh instead of frankincense - and that fits the cola idea from above. But the star is the wood, so the name of the fragrance points in the right direction. The Schnick thereby: If it already succeeds in refining artificial wood by adding iris, this should work even more with natural wood. And indeed, the refinement of the noble delivers a respectable result. In the late morning this good impression is unfortunately a little clouded by a light plastic note. Too bad, because the topic powder iris was probably a little over-twisted. It also seems to me that vanilla is in the game today and in natural fragrances it probably likes to get a touch like that - which in this case also makes it clear that the active fragrance process is over. And in fact, not much happens after noon. The additions to the (skin)-creamy-woody basic structure, mainly smoke and a certain bitterness of tobacco because of me, are at most accompanying symptoms. Conclusion: Refinement of the noble or not - I only find the scent quite beautiful, but it doesn't tear me from my seat. Gradually I have the feeling that the brand overall is somewhat creamy-heavy. I'd like to thank Bellemorte for the rehearsal. During my visit to the drugstore I was irritated by the perfumery department: a whole floor full of variations of the same thing. Everything was too bright, too monotonous for me today. I went to the basement, to the natural cosmetics department. There, too, I tested myself through the offer. This, in turn, seemed to me to come more from a specialist book on aromatherapy: unbalanced citrus clouds and seemingly randomly mixed grass notes with a therapeutic undertone. Then I saw on a shelf some simple flacons, very inconspicuously packed in brown cardboard: 100 Bon. To find out what's in there, you have to read it. The bottle doesn't jump into your face with a "buy me!" I picked up the tester and was happy: wonderfully delicate aromas, perfectly balanced. Today "Cèdre & Iris Soyeux", "silky soft cedar and iris" was allowed to come along. That hits the scent very accurately. After a very fast orange opening an illusion of cinnamon begins for me, finely pulverized. But a very fine orange aroma remains - more a longing than that it would actually be there. No tangy orange, no. More like the smell of long dried orange peels rubbed between your fingers. Over time, the woody-powdery base note wins, but lasts for a very long time. A scent just for me alone, and only when I want, so weak is the projection. For me the ideal fragrance when everything is too much for me and I can't stand any other perfume. This won't be the only 100Bon, because: "Ça sent bon!". The opening of Cèdre & Iris Soyeux is such a nice surprise: flour-y woods with a touch of camphor and red berry fruitiness which recalls quite well the nuances that I perceive in Atlas cedar and Virginia cedar essential oils. Initially, I can't really discern the iris. But as the cedar gradually mellows, the rooty woody nuance of iris becomes more apparent, but never overwhelms the whole composition. The flour-y wood of cedar eventually leaves its place to the clean iris, with just a tiny bit of slightly balsamic violet lipstick, quite subtle and elegant as a skin scent. The sillage is initially moderate, but quickly drops close to the skin. The longevity is around 7 hours on me. 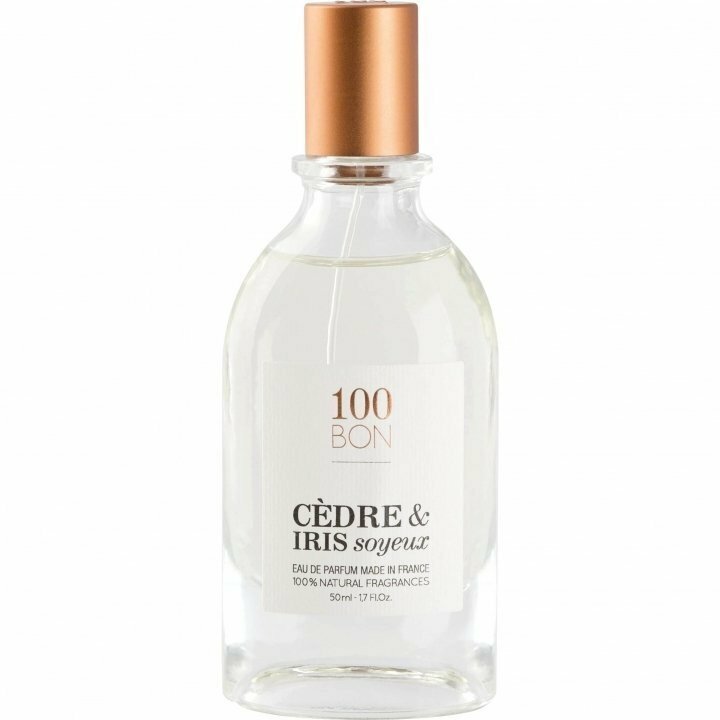 Although it might not be as striking as other more expensive iris or cedar fragrances, Cèdre & Iris Soyeux is very decent at this price point. Moreover, I find that it showcases certains aspects of cedar quite well. If you happen to be looking for an affordable, elegant and comfortable woody iris fragrance, I'd definitely recommend giving it a try. Write the first Review for Cèdre & Iris Soyeux!